Avian influenza, or “bird flu,” poses a continuing threat to birds, animals, and people throughout the world. In December 2014, the presence of a highly pathogenic avian influenza H5 virus in both domestic and wild birds was confirmed in Washington State. Since then, the virus has been found in wild birds in California, Idaho, Utah, Nevada, and Oregon. Agricultural Research Service scientists fight avian influenza not just in the United States but also abroad. Outbreaks in other countries may eventually make it to our shores, so our scientists work internationally to prevent disease spread. A recent finding by ARS researchers in Georgia uncovered why some vaccines in Indonesia are of little help in preventing the disease. These same scientists also developed a new vaccine. Highly pathogenic avian influenza viruses can cause severe production losses in domestic birds—chickens, turkeys, and rarely ducks. These viruses cause death, spread rapidly, and can result in bans on international trade. 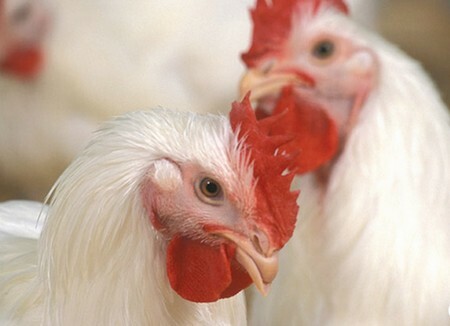 Low pathogenic viruses make chickens sick and increase financial losses to farmers. Although it is very uncommon, bird flu also can be transmitted to people, presenting a public health risk. Vaccination is critical in protecting birds, animals, and people in developing countries like Indonesia, where the H5N1 highly pathogenic avian influenza virus has become endemic, or common, in poultry, says David Swayne, director of ARS’s Southeast Poultry Research Laboratory (SEPRL) in Athens, Georgia. Indonesia has implemented a vaccination program, but some of its commercial vaccines have failed to protect poultry. An international collaboration of government officials, regulators, and scientists—including a team from SEPRL’s Exotic and Emerging Avian Viral Diseases Unit—investigated outbreaks in Indonesian flocks that were vaccinated. Scientists immunized chickens with each of the 14 vaccines and found that protection varied greatly. Tests showed some vaccines contained a lot of antigens and some had only a little. The antigen, a protein from the virus, allows birds toproduce antibodies to build up immunity. Vaccinated birds were challenged with three different field viruses. All vaccines protected against one of the viruses, some protected against the second virus, and none protected against the third. “In addition, we used reverse genetics on a field virus strain to make a new vaccine, which protected birds against that virus,” Swayne says. This research demonstrates the need to evaluate vaccines often and replace vaccine seed strains with more effective ones as new field viruses emerge that are resistant to older vaccines, Swayne says. Improving vaccines and ensuring that they work not only helps control avian influenza outbreaks, but is also critical to having effective vaccines available for the U.S. National Veterinary Stockpile in case these emerging viruses come to our shores. This article was originally published in the U.S Department of Agriculture´s science magazine, Agricultural Research, May 2015. Engormix.com thanks for this contribution.